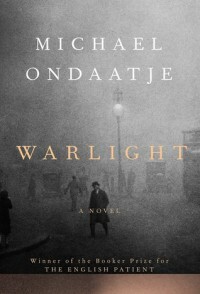 What a revelatory follow-up to fellow Man Booker nominee Snap:Warlight that is. Suddenly I understand just how much Yankees love their cop dramas and Brits love their espionage. And I'm hoping these are the two worst this year's long list has to offer. I was looking forward to Warlight. Aside from a poetry collection, I haven't read the work of Michael Ondaatje before. I expected good things. But from page one, I found this novel lacking. The novel is split into two part: before “revelation” and after. The two parts felt like two different stories stylistically. The first part was a bit more coming-of-age story and I was curious where it was going. But I never quite felt invested in the story. I failed to understand Nathaniel, our protagonist. I never developed a connection with him, who seemed more like a means to tell the story than as a character in it. This is especially true in the second half as the story follows Nathaniel into adulthood, but never gives a clear picture of who Nathaniel is at this point. The story is painfully non-chronological, which is necessary for the storyline, but jarring for the reader. Further, Nathaniel as narrator becomes lost in the story. Suddenly, his story opens up to include details and perspectives he could not know. Have we switched to an omniscient narrator? Are these just possibilities Nathaniel is considering? It's not quite clear and this, along with a time line that's all over the place, makes for a novel that was not pleasurable to read. And then there's all the espionage talk. Slog. On a positive note, there are some wonderful scenes and finely crafted moments, particularly in the first half of the novel. I didn't care for Nathaniel as a character, but I did appreciate his relationship with Rachel, his relationship with The Darter and with Agnes. Nathaniel has a gentle and unique perspective of others, but this perspective doesn't translate to the larger story. The result is a rather dry narrative. I'd expected more from my first real outing with Ondaatje, but I'll certainly return to the author. As for this novel, I wasn't impressed. The characters largely failed to pull me in and the plot wasn't strong enough to lift this plot-driven tale.